The Problem with Men Today: Smart Car or Death Car? Smart Car or Death Car? I think these "smart cars" are really "death cars". And turquoise? Wow. Let me know how you make out when an 18 wheeler smashes into the back of your Easter egg. That is in the top ten worst cars I have ever seen. I almost lost faith in this site. Easter Egg Car for sure. Nice find! 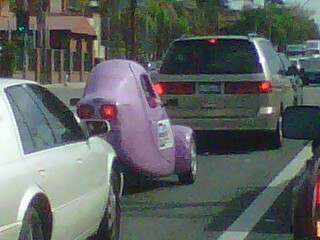 These cars are worse then motorcycles. Good luck Eco-tool.